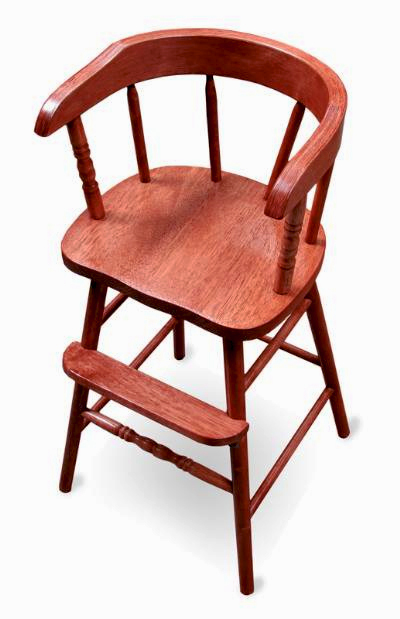 This high-rising traditional Youth Chair is made of solid Parawood. It is a beautiful piece of furniture that is especially helpful for post-toddlers between the stages of a baby's high chair and an adult chair. The approximately 22-inch height helps give your little one the boost they need to reach the kitchen or dining room table. This Youth Chair comes fully assembled and sanded (another light sanding may be needed for the desired level of finishing). There is no particle or any other type of inferior manufacturing used. Made of solid Parawood, this chair can be stained, painted or covered with a clear top coat. Parawood is the finest wood from the forests in the Far East. It is prized as an "environmentally friendly" wood, as it makes use of trees that have been cut down at the end of their latex-producing cycle. Known for its light and subtle grains, it takes staining very well. Alternatively, a clear top coat will maintain its natural wood color while adding a protective coating. It is available unfinished so that you are able to stain, paint or varnish upon receipt or you can select a pre-stained option above. 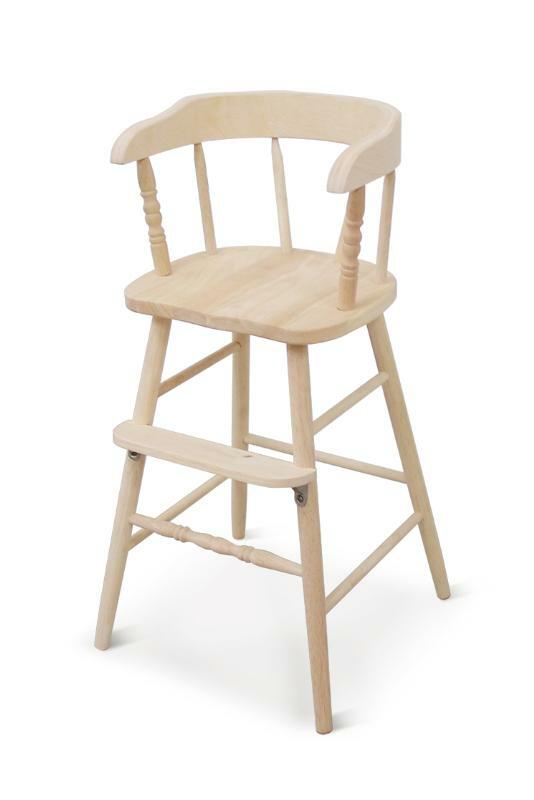 The main benefits of purchasing an unfinished Youth Chair include the significantly reduced price and the ability to select your own colors for staining or finishing. Many customers like to take a sample from their dining set and search for a matching stain at the craft or hardware store in order to create a Youth Chair that melds seamlessly with their existing furniture. Other customers prefer having their Youth Chair pre-stained to save time or give as a gift. Please note that it can take up to 2-3 weeks for staining. Seat Height from floor: 22"
Footrest height from floor: 15"
Center of the curved backrest to end of curve: 10 1/2"
Unfinished, Natural Finish, Mahogany Finish & Rosewood Finish - In Stock and ships in 1-2 business days. *please note this is a natural wood product. Some irregularities may naturally occur in wood grains that are not considered defects. Also, some minor sanding or leveling may be required. Similarly, as each chair is stained by hand the results may vary slightly from images depicted on the monitor. To match previously purchased youth chairs (or your existing furniture), please provide a picture and original stain color chosen so we can match the stains as closely as possible. To remove an item, set the quantity to zero and press Update Quantities button.